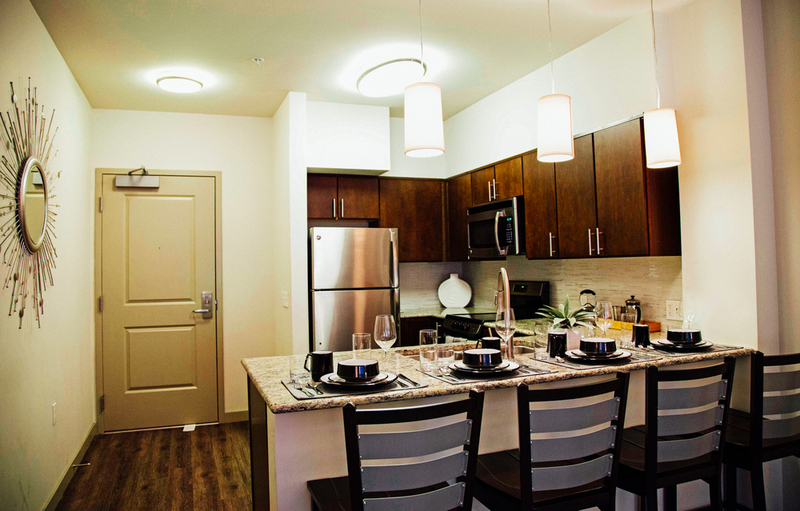 We create beautiful, sustainable campus housing. 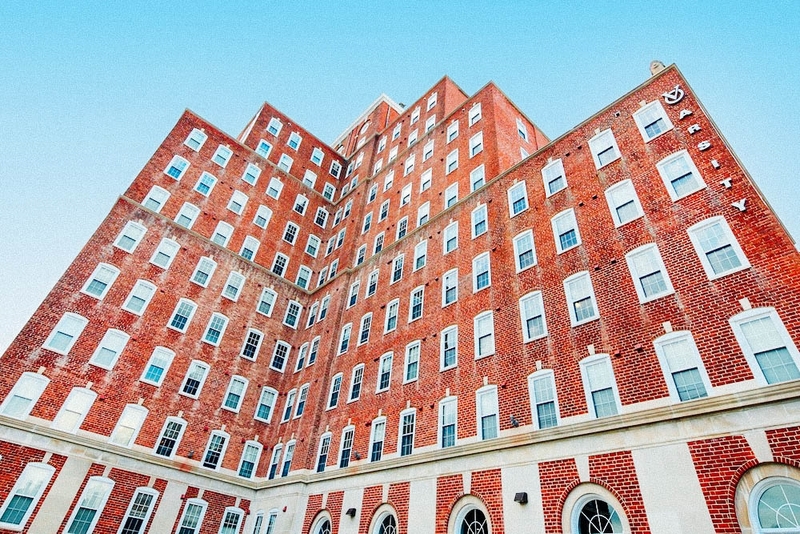 Varsity Investment Group, formerly Potomac Holdings, is one of the nation’s most well respected real estate developers of multifamily housing with communities dotting the continental United States. In 2009 Varsity set out to redefine the concept of student housing by developing unparalleled living experiences for its residents and the communities in which they sit. Since its formation in 2002, Varsity has developed over a half a billion dollars of commercial real estate including mixed-use, multifamily (traditional & student oriented), office, emergency housing, and retail. Varsity Investment Group is deeply committed to the communities they serve. Besides being an innovator within the student housing sector it prides itself on being a steward of the environment. From its LEED-designed projects to recycling programs they look to a leader in sustainable development. 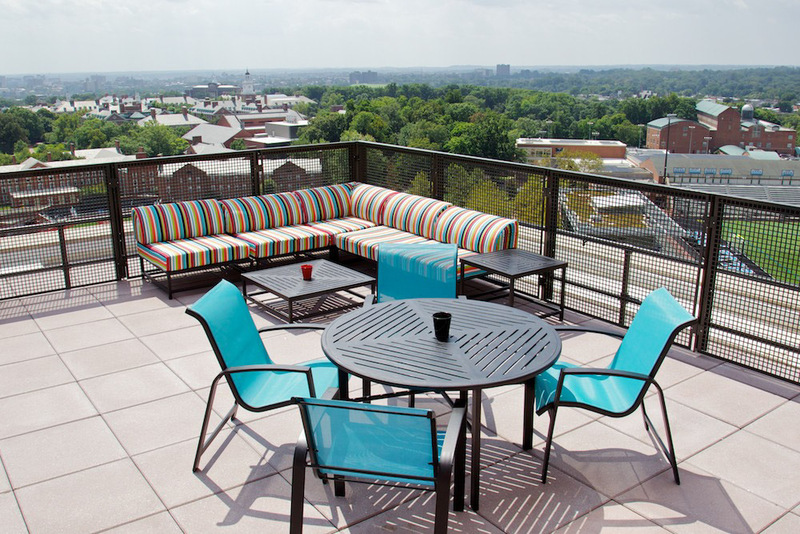 Varsity has received rave reviews ranging from being voted as Best Off-Campus Housing by students at campuses like University of Michigan, University of Maryland, and Johns Hopkins University to the National Association of Home Builder’s Multifamily Pillars of the Industry Award. Varsity Investment Group relays on its deep experience within the student housing industry when forecasting potential developments along with shared insights from key industry partners. Every project is a partnership. From the neighbors surrounding a new development to the municipality in which it sits, the Varsity team looks to these parties as essential partners in making each community a success. Varsity Investment Group has a track record of delivering communities on time, on budget, and at full occupancy. Green isn't just a buzzword. Varsity Investment Group sees it as their civic responsibility. Their commitment begins before the first construction document has been drawn and continues well after the last resident has moved in. 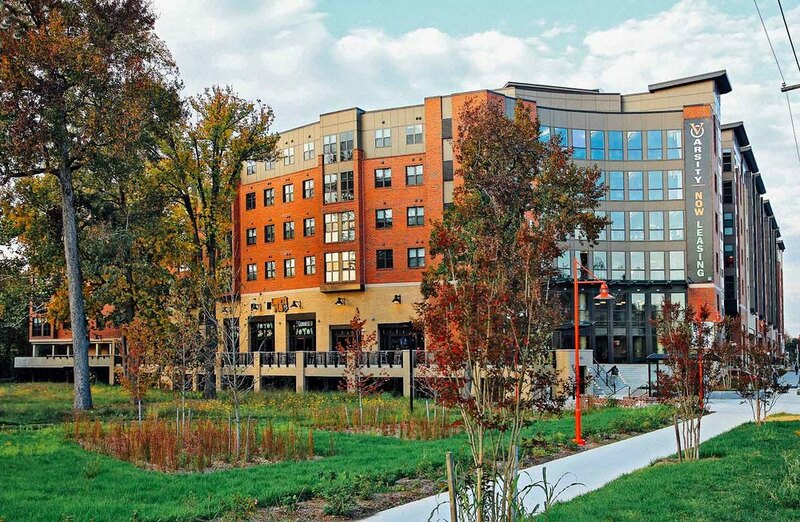 They employ a variety of strategies beginning with the design of LEED scored buildings all the way through to the management of recycling programs for its residents. White is the new green. The Varsity at College Park sports more than 60,000 square feet of energy efficient white thermoplastic polyolefin roofing. The Lawrence Berkeley National Laboratory Heat Island Group notes that a white roof can reduce energy usage by more than 20 percent during warm months. Perched high atop the Varsity at UB is nearly 13,000 square feet of a colorful planted sedum mix. Storm water run-off is reduced by 90 percent on what was once a complete impervious asphalt lot. In addition, the green roof creates a microclimate by cooling and humidifying the surrounding air. Every Varsity owned or operated building participates in its refuse recycling programs. This systematically reduces waste sent to landfills, conserves natural resources, and prevents pollution. The success of this program works thanks to the participation and dedication of the Varsity residents. As Managing Member of Varsity Investment Group, Donnie Gross oversees the day-to-day development and asset management activities. 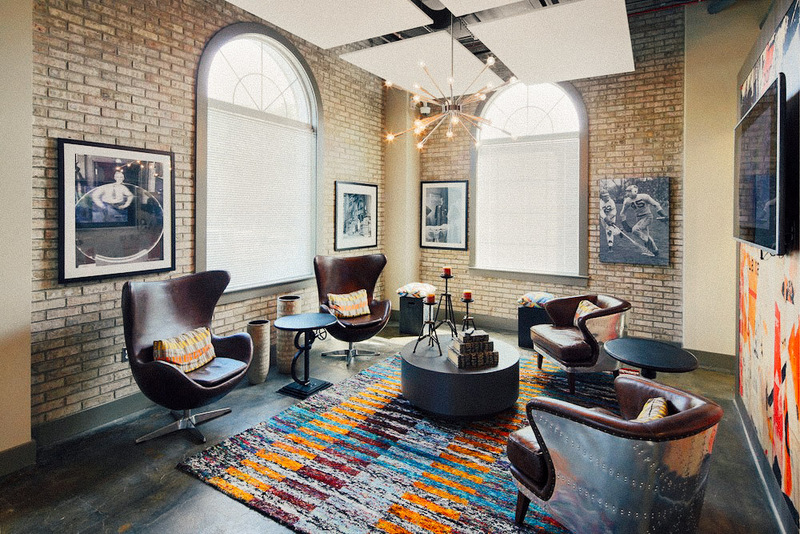 The company has more than 3,000 rental beds constructed, in the pipeline or under construction throughout the United States with projects that range from urban high-rise to mixed-use residential with ground floor retail. Mr. Gross created the Varsity Investment Group, formerly known as Potomac Holdings, in 2002. At the conclusion of 2015 Mr. Gross and Mr. Connolly sold TLK Group, one of the nation’s largest call centers with clients such as Comcast and Time Warner, to market leader The Results Companies. In 1998 he founded Millioneyes, a venture backed internet service provider that was successfully exited via an acquisition from NetZero. Mr. Gross also formed Edge Communications, a telecommunications services firm that he sold in 1997 to publicly traded DCI Communications. As a partner with Varsity Investment Group, Scott Shinskie manages the development of their student housing communities. He is responsible for directing the company’s development, management, construction, and marketing activities. Scott began his tenure at Varsity Investment Group at the company’s inception in 2002. Previously, Scott was the Director of Commercial Sales for Millioneyes where he was responsible for creating strategic relationships to create large-scale growth. In addition, Scott recently completed his tenure on the Board of Advisors at the University of Baltimore’s Merrick School of Business Economic Development and Real Estate. With over 35 years in the accounting industry, Chief Financial Officer Matthew Connolly brings unparalleled experience to his position at Varsity Investment Group. As Principal and CFO, he is responsible for the Company’s financial and accounting philosophies. As Chief Financial Officer, he maintains strategic banking relationships and has a focal role in raising capital for future developments. Additionally, Mr. Connolly along with Mr. Gross sold TLK Group, a national call center with Fortune 500 clients, to the Results Companies, an international provider of customer management experience providers. He also was a founder and CFO of Millioneyes, the then fourth largest dial-up internet service provider prior to its acquisition by publially traded NetZero. Previously, Matthew was the Chief Financial Officer for Saunders Group, a national real estate concern that focused on residential development. The newest addition to the Varsity team, Chad Connolly joins as an associate responsible for handling all legal aspects. Prior to joining the team Chad was a public defender in Florida handling cases in both the state and federal courts. Chad received his jurist doctorate from the University of Miami.